Rugs are without a doubt one of the best ways to decorate your home, yet they're also very vulnerable to potential stains and damages—and if you have pets at home, you surely understand that accidents can happen. 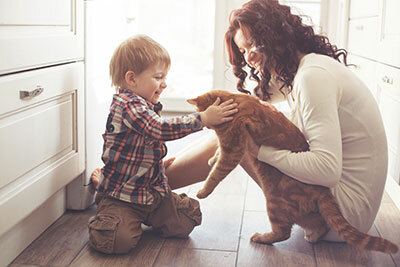 Our sweet furry friends don’t mean to create such a mess, but sometimes their accidents can result in the severe staining of your favorite rug or carpet. If this sounds familiar, don't worry—our staff at Boynton Beach Oriental Rug Cleaning Pros is specifically trained to clean any kind of stain, including stains caused by your pets. Our first step focuses on identifying the rug type and its origin so that we can use the optimal cleaning method suited for your individual rug. While we're on the job, you can also expect us to remove any and all dirt, dust, sand and pet hair hidden in the rug before making short work of all those pesky stains. During stain removal, we always make sure to adjust the chemicals in our solution based on the specific rug we're working on to ensure that its colors don’t bleed—and as always, we only use solutions that are safe and pet-friendly. For our beloved pets, the floor is a place to walk, run, sleep, and play, and they’re not aware that your floor is also a host to an intricate and timeless work of art like an Oriental rug. 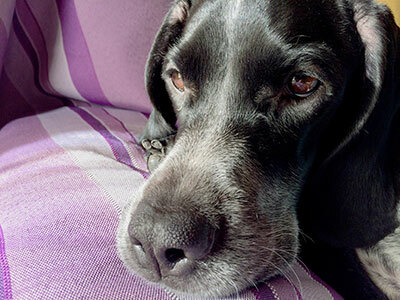 Luckily, to successfully fight these pet stains, all your rug needs is regular care and cleaning. Our team of rug cleaning pros is happy to take care of the messy work, giving you a stress-free and efficient experience as we treat every rug with our customized cleaning methods. We take our rug cleaning processes very seriously and will only start after we've conducted a careful investigation for your rug. The final step in our stain removal process involves thorough drying. We’re careful to neutralize all the different solutions used before wringing out all of the moisture, and then we complete our drying process by using a blower to apply a finishing touch—we also avoid the use of heat as to limit damage to the delicate fabric. Once our pet removal process is completed, a stain that seemed like a permanent fixture on your fabric will suddenly become a distant memory that you'll have no trouble forgetting. ​In addition to ensuring that all stains have been removed, we’ll also guarantee that there are no remaining pet odors overwhelming the rug. While our procedure can seem long or even excessive, rest assured that it's necessary to restore your carpet to its former beauty. Our cleaning process is well-planned and has been tried and tested plenty of times with results that were more than satisfactory. You won’t have to worry about a thing: just ring us up and let us take care of the rest. 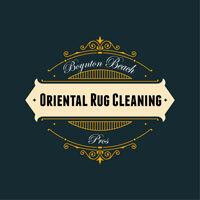 Whatever the severity of the pet stain on your rug, our trained professionals at Boynton Beach Oriental Rug Cleaning Pros are ready to take any job and deliver a successful, pristine final product.